Kicking off this weekend at the Dollhouse is the Southwest Showdown. 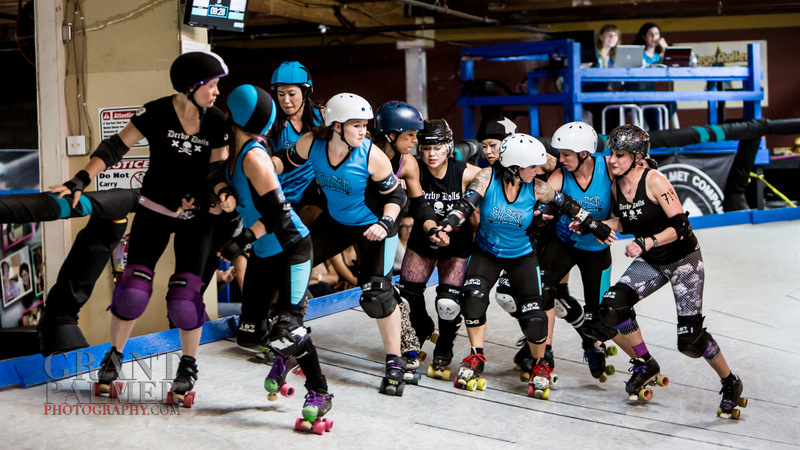 Three all-star teams face off in a private daytime round-robin tournament: the San Diego Derby Dolls Wildfires, LA Derby Dolls Ri-Ettes and Arizona Derby Dames Hot Shots. High noon is at 7:30pm when the “Most Wanted” skaters from each team will be chosen to skate during the main public event. 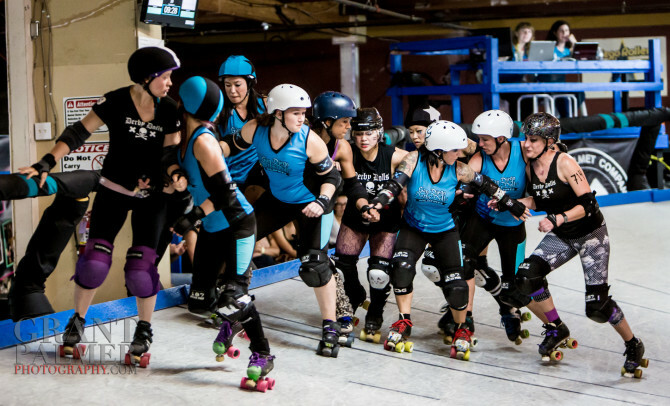 This is a unique opportunity to see the best skaters partner up and wage war against each other on the banked track. So, saddle up and head on downtown for a humdinger of a showdown! Doors open at 6:30 pm on Saturday and the All-Star Showdown is at 7:30 pm.